291gm Box. A product of Hunter’s Collection, Nairn’s brand. A seriously Oaty snack! 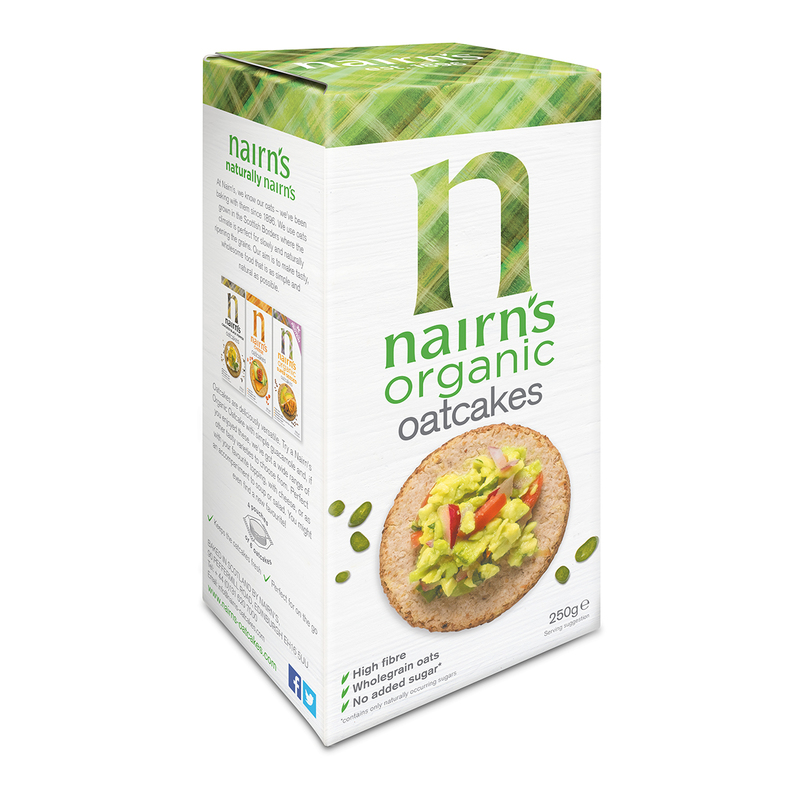 Packed with coarse, wholegrain oats they are high in fibre and complex carbs for a wholesome boost to help you get through the day. Crying out for a topping they are the perfect lunch covered in cream cheese and some fresh smoked salmon. Delicious. Hunter’s Collection Scottish Rough Oat Cakes – Oats (291gm) 291gm Box. Biscuits & Crackers, MSG Free, Non GMO, No Preservatives, No Artificial Flavours, No Artificial Colours, Vegan, No Transfat, No Cholesterol. A product of Hunter’s Collection, Nairn’s brand. Wholegrain oats (91%), sustainable palm Fruit oil, sea salt, raising agent: sodium bicarbonate.